New rules tighten the restrictions around the possession of benzodiazepines and ‘z-drugs’. RESTRICTIONS ON UNLAWFUL possession of benzodiazepines and ‘z-drugs’ have been tightened in Ireland. New rules under the Misuse of Drugs Act came into effect yesterday and mean there are now stricter prescribing procedures for certain medications. Speaking about the development, Tony Duffin, CEO of the Ana Liffey Drug Project, told TheJournal.ie: “We know that when changes such as these are implemented there is always the potential for unintended consequences. “For example, if there is a temporary drought in benzodiazepine and z-type drugs, what drugs will replace them? The market will respond and we must also be ready to respond quickly to any new risky drug trend that may emerge. “We look forward to a time when legislation is introduced to respond to drug use as a health issue rather than a criminal justice issue. That time is not far off – there is a lot of empathy in Ireland for people who use drugs,” Duffin said. Benzos include Valium and Xanax, while Z-drugs include Zopiclone and Zaleplon, which are used to treat insomnia. 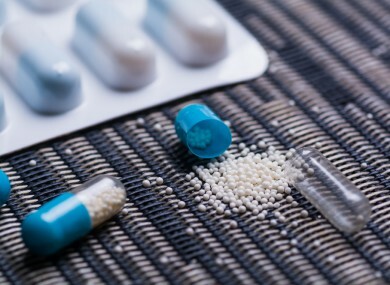 In a statement, the Department of Health said the change in law is to “protect public health by bringing certain substances which are open to misuse, and known to be traded on the illicit market, under the scope of the Misuse of Drugs legislation, thereby aiding the law enforcement activities of An Garda Síochána”. The department said the legislation will also “allow Ireland to fulfil its obligations and to control new psychoactive substances in accordance with EU directives and international drug control”. The Irish College of General Practitioners said the drugs in question will have the same restrictions in place for controlled drugs such as methadone. The Pharmaceutical Society of Ireland said pharmacists will be required to keep a copy of all prescriptions and any endorsements made for drugs listed under Schedule 4 Part 1 of the Act for two years after the date of supply and mark prescriptions accordingly. Last month, gardaí and the Road Safety Authority launched their new drug testing regime for drivers. Officers can now breathalyse motorists for a range of drugs including cannabis, cocaine, opiates (such as heroin and morphine) and benzos. Email “Fears 'risky new drug trend' could develop amid crackdown on prescription drugs”. Feedback on “Fears 'risky new drug trend' could develop amid crackdown on prescription drugs”.